It's all about the sizzle and shine when it comes to art deco party style. 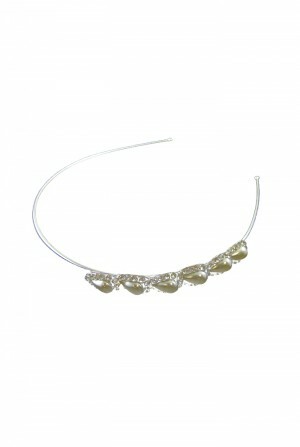 This glittering gold art deco hairband is simply dripping with glamorous glistening crystals set into lavish diamante loops and spirals. 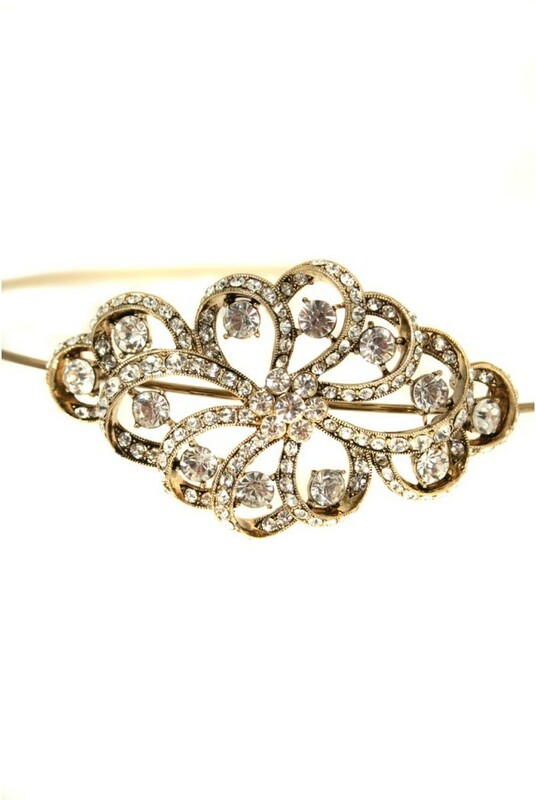 With the delicate diamantes contrasted against a gleaming antique gold base this vintage headband will get you set to sparkle bright! 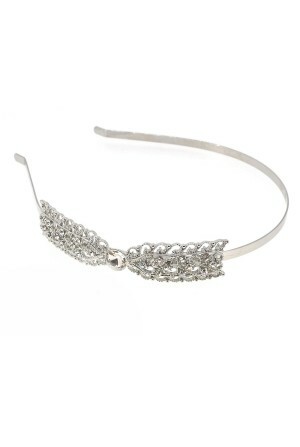 Finish off your Great Gatsby look by combing this sassy flapper girl head piece with an intricate up-do or a blunt bob for a full on chic 1920s look. 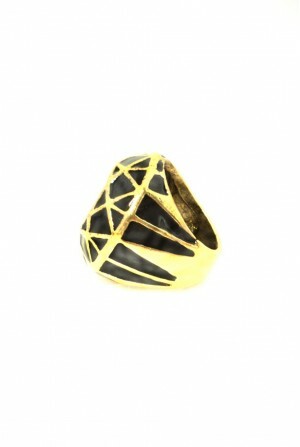 Pair with some glitzy accessories and a metallic clutch for a razzle dazzle explosion.